This is a special course we have developed for people working with or owning a monkey and other pets. 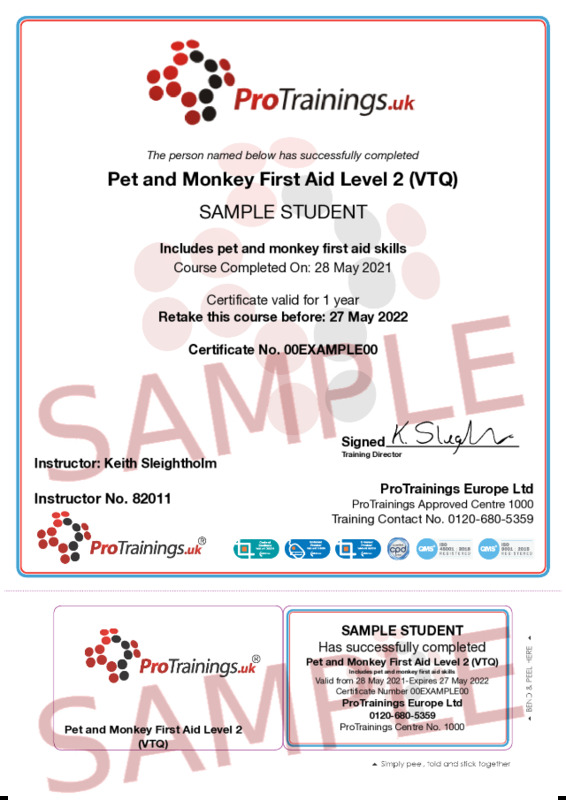 The course is our standard pet first aid course covering dogs, cats and other pets and we have added the special considerations and treatments for emergencies with primates. The course covers the first aid and CPR differences between pets and monkeys and the common illnesses and injuries that can occur. This course is available as a classroom course only but you will get access as with all our courses to the videos and downloads on our pet first aid course. We developed this course with Wild Futures in Cornwall who are a UK primate welfare and conservation charity rescuing, campaigning, educating and providing sanctuary to primates in need. We also support projects overseas, working to protect primates and habitats worldwide. Wild Futures are well worth a visit. Our standard pet first aid course with the addition of subjects relating to monkeys.